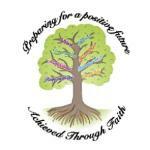 Our mission is to provide a whole and inclusive curriculum within which Christian values are fully integrated. The Governors, staff, parents, pupils and the local community (including St. Barnabas Church) will work together to achieve our mission. Information taken from Warrington St Barnabas C E Primary School website. Please see separate entry under 'nursery' for more details.